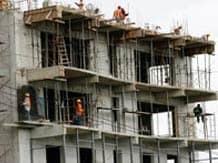 The Bill, in the making for about five years now, will only regulate the housing sector, said a senior ministry official. The current draft Bill mandates developers to keep aside about 70 per cent of the collected amount from buyers in a separate account. The ministry may lower the limit to 50 per cent or make it construction-linked. The revised draft Bill is likely to be tabled in the current Budget session of Parliament. The ministry is awaiting a Cabinet nod, before moving Parliament. The real estate industry has been opposing the introduction of the Bill. Developers have raised concerns over the strict penalties/punishment to be imposed on them if they fail to comply with certain provisions. The draft Bill proposes up to three years jail or/and a penalty up to a 10th of the estimated cost of the real estate project in question for promoters who willfully fail to comply with some key provisions. Anshuman Magazine, chairman and managing director of the South Asia region for CB Richard Ellis, said: "This will only be a bit of relief for developers as majority of the development happens in the residential segment. Overall, the Bill has to be a balanced one, which will protect the interest of the consumers while not being impractical on the developers." Samarjit Singh, managing director, IndiaHomes, said, "The new revision will help large-scale developers, who go for setting up of integrated townships. It will give some element of relief to developers and not impact individuals." On the reduction of project amount cost to be deposited in separate account, Singh said, "It is a fair and balanced representation to both sides. Reduction of that amount to below 50 per cent will compromise buyers interests. "Some fine-tuning and tweaking is required in the final Bill to address the concerns of the developers, which include imprisonment and strict penalties," he added. In the present form, it will be a draconian Bill with regards to offence, he said. "We need to only give such harsh punishments to habitual offenders," Singh added. The purpose of the Bill is to establish a Real Estate Regulatory Authority for regulation and planned development in the sector. Currently, the sector is not regulated. Besides, the Bill will also ensure sale of immovable properties in an efficient and transparent manner and protect the interest of consumers. It also seeks to establish an Appellate Tribunal to adjudicate disputes and hear appeals from the decisions or orders of the Authority. Another significant provision in the draft Bill is mandatory registration of real estate projects and real estate agents who intend to sell any immovable property with the proposed Real Estate Regulatory Authority. Public disclosure of all project details will be mandatory. Within a year of the Act coming into place, Real Estate Regulatory Authorities will have to be constituted by the government of each state and Union territory. More than one authority in a state is permissible. At the Central level, a Real Estate Appellate Tribunal has been proposed. The legislation is aimed at protecting the interests of ordinary people and home buyers across the country against unscrupulous practices in the sector.